Next week Apple will unveil the iPad 3 and is rumored to be an iPad 2 features and components serial killer. The iPad 3 is expected to have huge improvements over the iPad 2 such 8 megalpixels camera, quad-core CPU, and a beautiful Retina Display. 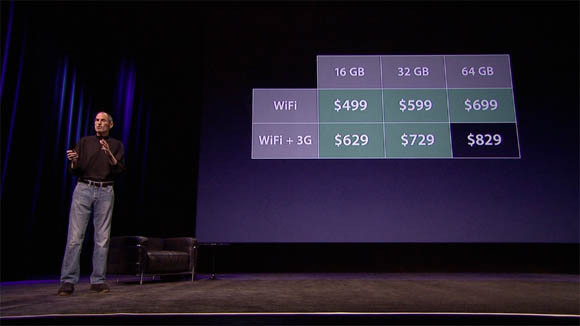 All those features lead people to believe that Apple will increase the iPad 3 price. Fortunately, that won’t happen. The iPad 3 will cost the same as the current iPad 2 — this shouldn’t be surprising to people who knows about Apple’s products. This news comes from 9to5mac who cites a reliable source from them who also provided iPad 3 models numbers to them. You can see it below. J1 is supposed to be the WiFi model, while J2 3G/4G LTE model.